This Moroccan Koumaya dagger is a fine exemplar, 20C. vintage. Very well forged blade 9 inches long. Rhino horn grip with silver mounts. 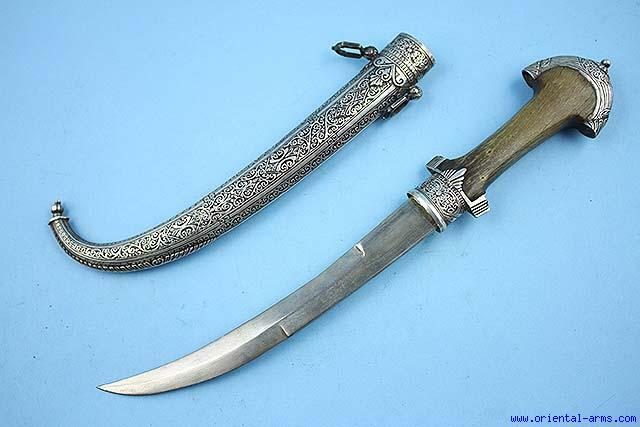 Heavy silver scabbard finely chased. Total length 16 inches. Fine condition.